Nestled in the Trans-Himalayan region, in the state of Jammu & Kashmir in North India, Ladakh has, in recent times, become one of the most popular summer holiday destinations in India. 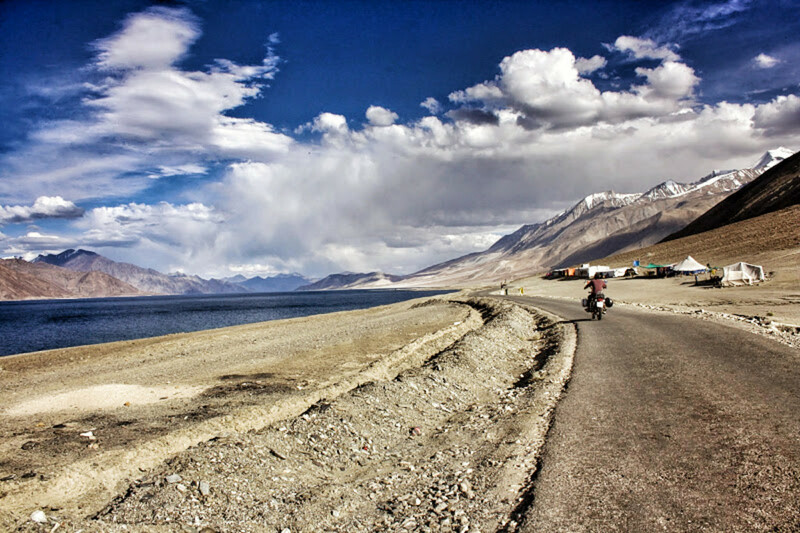 Riding across high altitude mountain passes, visiting monasteries, and camping by some stunning high altitude lakes are the major allure of Ladakh. Besides spell binding landscapes, Ladakh is renowned for its ancient Buddhist monasteries. Ladakh is often dubbed ‘Little Tibet’ as it shares an international boundary with Tibet and plays host to a sizable population of Tibetan Buddhists. Although a trip to Ladakh has a lot to offer, tourists are required to take some precautions since it is mostly a barren land and has low atmospheric pressure and low oxygen levels at higher altitudes. In this article, I’d like to mention some important points that every tourist planning a trip should know and answer some frequently asked questions in travel forums online. The most common questions are related to acclimatization, ATMs, Petrol Pumps, acute mountain sickness, and innerline permits as well as how long Ladakh tour itineraries tend to be. All of my tips are based on my personal experience in the region. Physical fitness is the foremost thing you need to consider while undertaking a trip to the Ladakh region. Increase your altitude gradually, and balance ascent with rest to help your body acclimatize. Due to the low atmospheric pressure, tourists need to rest for around 2 days or 48 hours after reaching Leh. If you suffer from high blood pressure, heart ailments and asthma,you should consider not visiting Ladakh. Hydration is necessary but overdoing it could harm you. Increase your normal water intake by a liter, and that will be enough. Dehydration does not necessarily leads to AMS. During the cold weather, cover your head and ears with something warm. Don’t exert yourself physically too much. Never run out of excitement especially on passes. Low oxygen levels could lead to fatigue and it can be difficult to catch your breath. You might feel the earth spin or even pass out. Some preventive medicines do aid acclimatization and treat altitude sickness. The most popular is Diamox. The local version of this medicine, a time tested and natural alternative is garlic soup, or a soup prepared with lots of garlic. If you notice any symptoms such as headache, nausea, dizziness, or fatigue, rest immediately and descend without delay if you are at a high altitude (as in Khardung La Top). I know this one is difficult to do but you should avoid smoking and drinking alcohol at a high altitude to prevent AMS. If you are taking Leh-Manali Highway, then stop at Keylong, Jispa, and Darcha and avoid staying at Sarchu if possible. Otherwise, if you are taking Leh-Srinagar Highway you should spend the night at Kargil (I am assuming that you have already spent a night in Manali or Srinagar respectively). If you are flying directly to Leh , you still need to take two days to rest. During this period , you could always go on a short trip to Thiksey, Hemis, Shey, Nimoo and Stok etc. to visit monasteries and palaces. You should avoid sleeping during the day. I know I didn't have to say this because who'd waste even seconds of time sleeping during the day in such a magnificent land. Ladakh is situated in the Greater Himalayas, which means it is cold and at a considerable elevation. As soon as you cross Keylong (Leh-Manali Highway), you will experience a drastic change in weather condition as well as landscape. The same changes will be apparent when you cross Zoji La on Leh-Srinagar Highway. 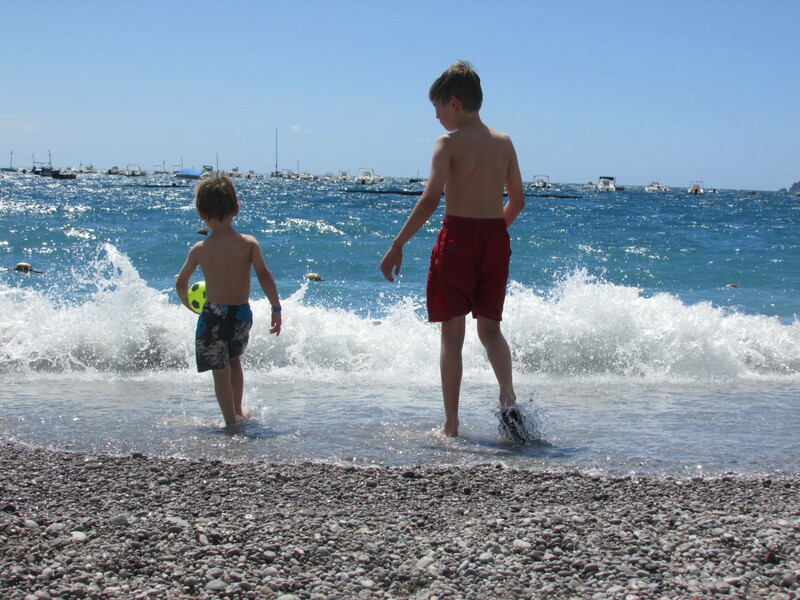 The point is that while you travel at higher altitude during the day, the weather will be warm and sunny. It seldom rains in the Ladakh region which is one of the reasons that Ladakh is considered one of the best monsoon holiday getaways in India. During the day, a simple pullover or jacket will do the trick but as soon as the sun goes down, the temperature also drops steeply and it could even reach zero degrees. The evenings are generally when people rest inside. Most lodgings along the routes are warm enough. Even sleeping in tents is not a problem since blankets and quilts are provided by the owners. 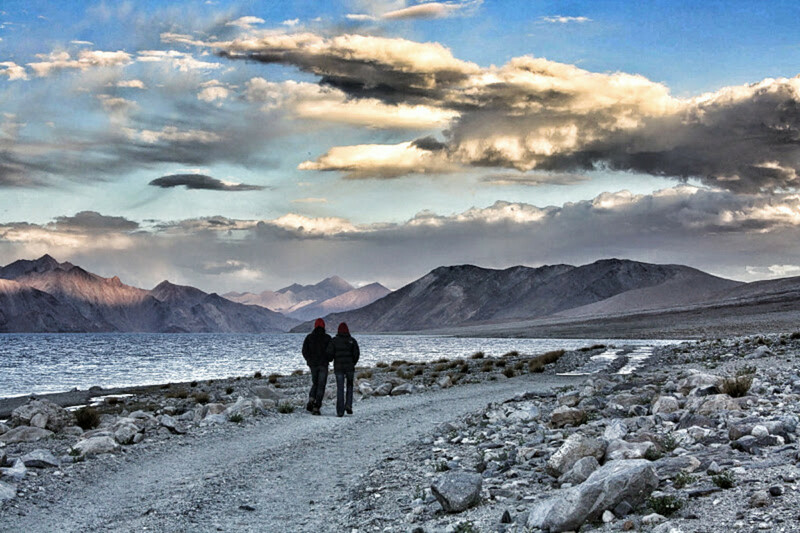 Here are a few key things which you should pack when traveling to Ladakh. Soaps, towels, general medicines, bandages etc. 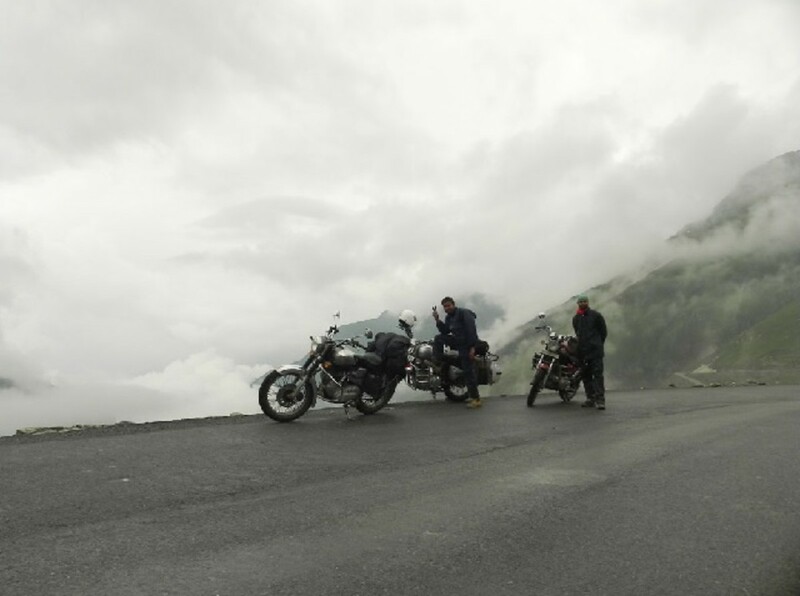 A pair of good raincoats as more often than not, riders face rains after crossing Chandigarh and before crossing Rohtang La Pass on Leh - Manali highway. On Srinagar - Leh highway you are very likely to get caught in the rain until you reach Zoji La. Alternatively, you could use a raincoat as windbreaker. They also help keep your clothes clean along the dirt tracks on passes and along the Moore Plains. The cloud of sand and dirt can be quite substantial, especially when an army convoy is passing through and when you are crossing passes where trucks and other vehicle takes longer due to narrow roads. Boots to keep your feet, shoes, and socks from getting wet at streams flowing on passes, especially the one at Baralacha La which is one of the most vicious. There are more water crossings on passes such as Khardung La and Chang La. The trick is not to cross the stream from middle, keep your bike in first gear, and use the clutch to maintain traction and throttle. Or you could wait for others to pass, see how they did it and follow suite. Spare tube, puncture kit, clutch wire, break wire, chain lock, gear oil, engine oil, spark plugs etc are a must pack in your bag. Also carry a petrol jar if you are taking Leh - Manali Highway as the last petrol pump that you’ll find is at Tandi which is around 380 KM before you find the next at Karu. So you should carry 10-20 liters of extra petrol. Puncture shops are also not available and even if you find one, there is no guarantee that they will have the tube, which is why a tyre tube is a must-pack item even if you don’t have a puncture kit. 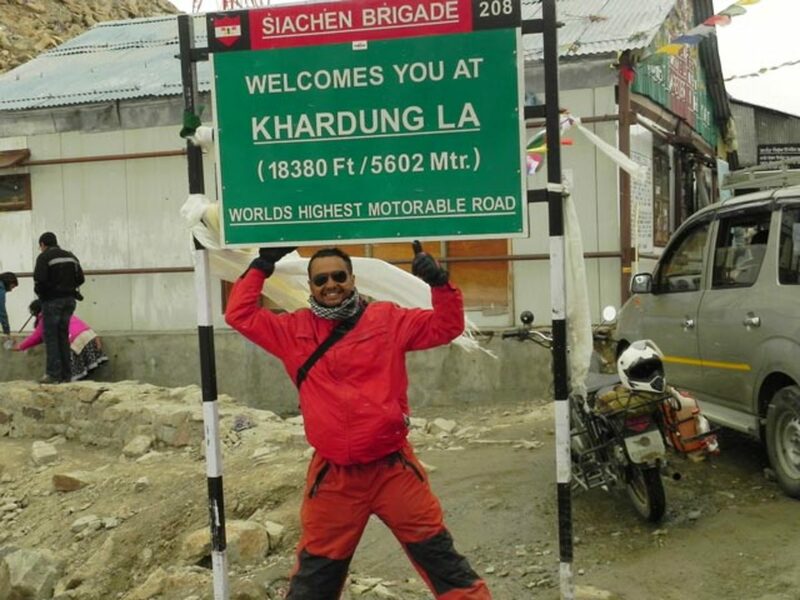 It is managed by Dheeraj who, in my opinion, is an authority when it comes to road trips in upper Himalayan regions of India, especially Ladakh and Spiti Valley. You will find a load of information on his website along with travel planning and several tailor made itineraries. The great thing about this is that it's all free and you will be able to plan your own itinerary. 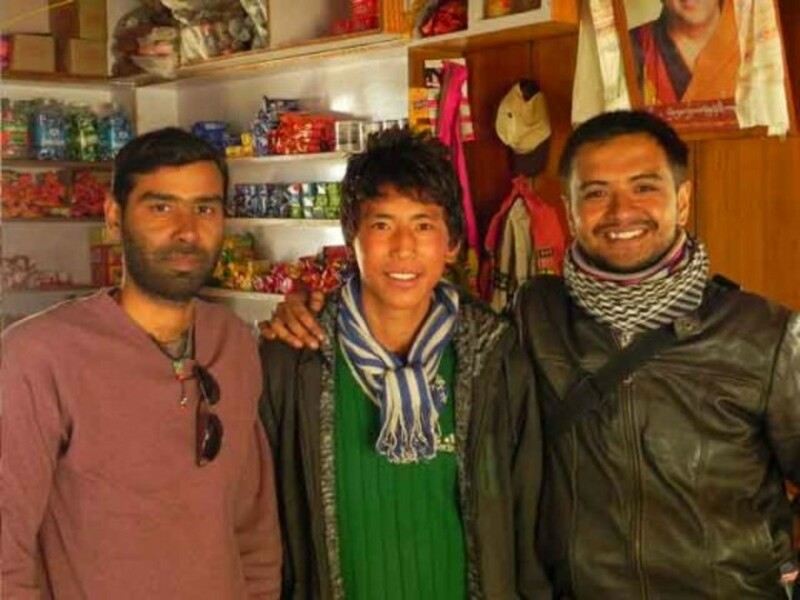 And the great thing about information there is that Dheeraj is a frequent traveler which means the information on his website is mostly up to date offering ready to use references, several contact information and almost everything you need to know to plan your trip to Ladakh. Definitely recommended. The cost of hiring motorcycle in Leh Ladakh as announced by Ladakh Bike Rental Association which governs the rate in the region. To visit certain inner areas like Turtuk, Panamik, Khaltse, Pangong, Changthang, Hunder, Tso Kar and Tso Moriri, etc. in Ladakh, even foreign residents need to obtain inner line permits. Visiting Hanle, Chusul (for Pangong to Tso Mori RI by road), Tsaga, beyond Loma bend, Chumur, Marsimik La, and Batalik sectors will still require Indian Nationals to obtain inner line permits. Travelers from overseas (with the exception of residents of Burma, Bhutan, Nepal, and Pakistan) need to obtain Protected Area Permit (PAP) to visit the above places. In the case of foreigners, the permit is issued only for a group with four or more foreign tourists. For foreign tourists, it is also mandatory to go through a registered travel agent in order to obtain the permit. 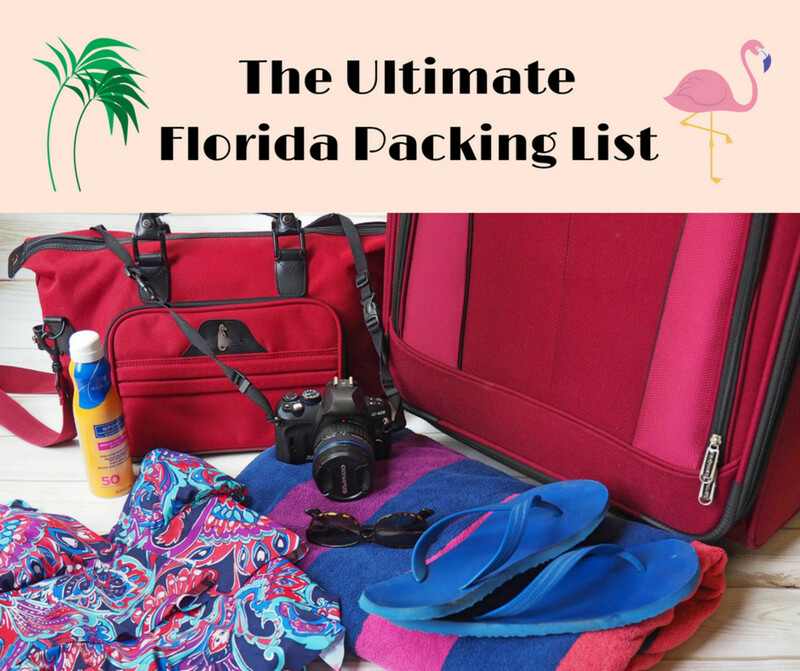 The travel agent will also help you group together with others in case you are traveling solo or as a couple so that your permit can be obtained. Inner line permits for Indian nationals are valid for up to three weeks, and the Protected Area Permit is issued for a maximum of seven days. You need to re-apply for the same permit if you are planning on visiting the more remote areas in Ladakh. For foreign tourists with a PAP, you don't need to travel in the same group or with the same travel agent mentioned in the permit. Traveling to Suru and Zanskar Valley does not require inner line permits. Foreign visitors can't go beyond Merak Village in Pangong or Mahe Village in the Changthang. You should get to the office as early as possible to avoid the rush and get your permit in a hassle-free way. The fee required for the permit is Rs. 200 per person as environment tax + Rs. 20 per person per day as wild life protection fee and Rs. 10 for a Red Cross Donation. One person may apply for the entire group provided he or she is carrying proof of nationality of all the members in the group. After acquiring the permit, make sure that you carry 4-5 copies of it, and photo id proof. You may be required to submit them at certain checkpoints by military personnel who track entry and exit at certain points to make sure tourists all return. This is more for your own safety since one may get stranded or stuck during the treks or rides due to bad weather. Mention all major places you are traveling to in the permit i.e. 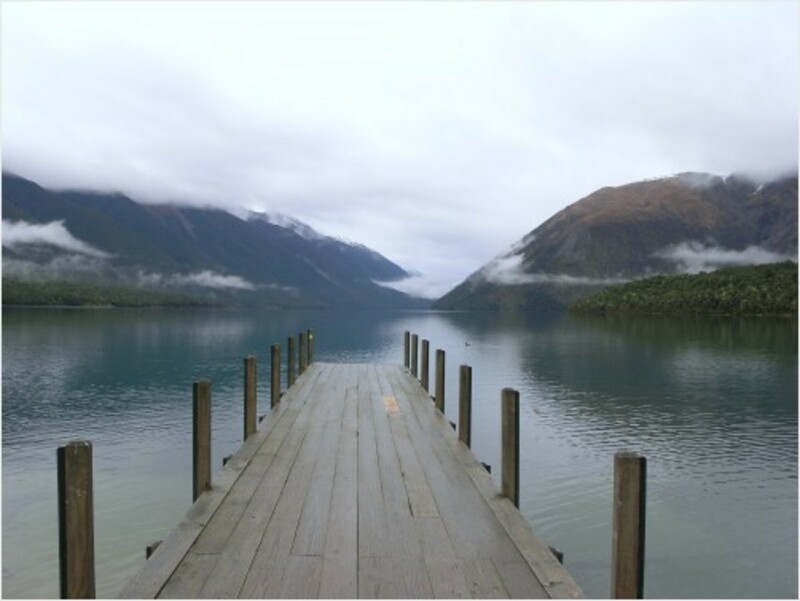 if you are spending the night in Spangmik, you need to mention only Pangong Lake. In some cases certain places or routes need to be mentioned. In order to take the Chushul route from Pangong Tso to Tso Moriri with a visit to Hanle, you need to mention Pangong Tso, Man, Merak, Chushul, Tsaga, Loma, Nyoma, Mahe, Hanle and Tso Moriri in the permit application. For those looking to plan their Ladakh trip on budget, bus service in Leh Ladakh could come very handy. However using bus service in Leh Ladakh means that your schedule might get a bit hectic due to limited connectivity of far-flung destinations that entail long hours of drive on rocky mountainous terrains and crossing several high altitude passes. Options for bus service to Leh Ladakh is available from Delhi, Srinagar and Manali. Mentioned below is how the journey would be like along with departure days, timing and fares of bus services in Leh Ladakh. Buses operated by HPTDC depart everyday starting from 1st of July till 15th of September every year when the road conditions are most suitable to cross the unpredictable Rohtang Pass. The journey spanning over 35 hours makes a number of halt along the way which include change of the driver and sometime even the bus. The journey also include a entails a night halt in Keylong. 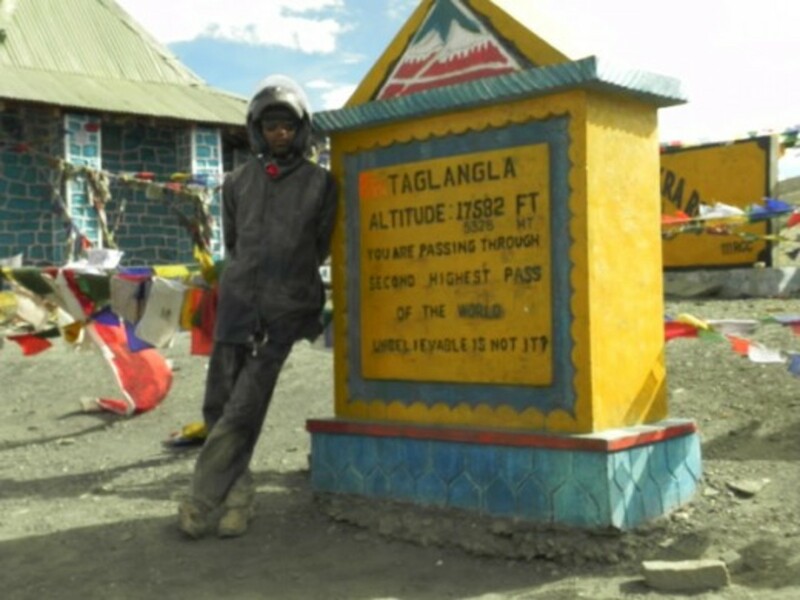 The final day journey include driving through spectacular terrain that include Gata Loops, Morey Plains and 3mighty mountain passes - Baralacha Pass (16,020 ft), Lachungla Pass (16,620 ft) and Tanglangla Pass (17,480 ft). Departure Days of Bus Service from Delhi to Leh from ISBT: Daily from 1st July till 15th September from Counter 7 of HPTDC. A Deluxe bus operated by HPTDC operate from Manali to Leh twice a week that crosses the most breathtaking terrain and is considered one of the best routes for road trips in world. 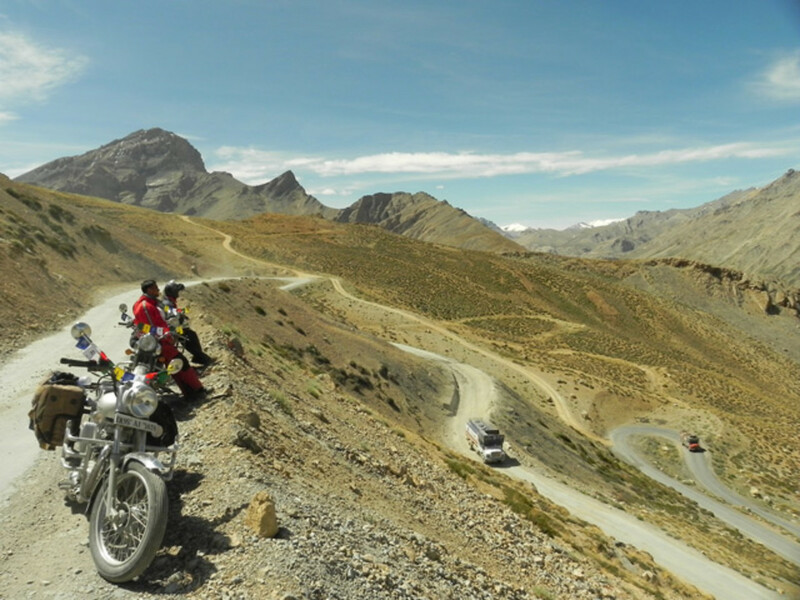 Several high mountain passes, high altitude lakes and loops, deserts and plains makes it one of the most sought after route to take to Ladakh. The semi deluxe bus halts for sightseeing along the way and the nighthalt along with meal is included in the fare of this bus service from Manali to Leh. 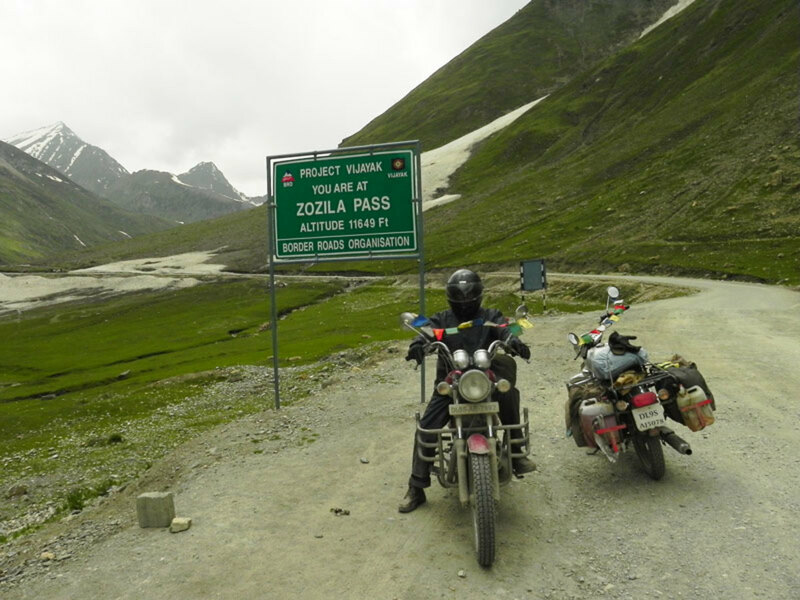 The highlight of this route is riding across 5 of the mightiest mountain passes of this trans Himalayan region - Rohtang Pass (13,060 ft), Baralacha La (16,500 ft), Nakee La (15,547 ft), Lachulung La (16,616 ft) and Taglang La (17,480 ft). 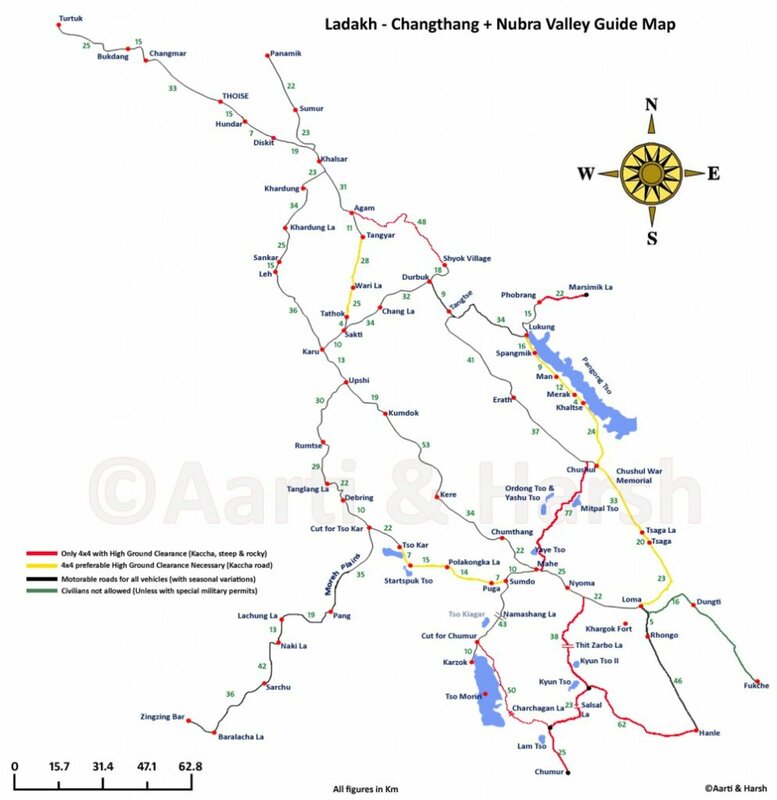 This is the route from where one could get the maximum options of bus service to reach Leh. Many government run as well as private operators ply bus on Srinagar Leh highway. A nighthalt if any is taken at Kargil. The journey involve crossing 3 high passes - Zozi La (3528 m), Namki La (3815 m) and Fotu La (4108 m). Due to the conditions and nature of Ladakh region, luxury hotel properties are mostly not available in the region. There is one luxury hotel in Leh town by the name of Grand Dragon. You will also find luxury tents at places like Thiksey, Pangong Tso, Tso Moriri and Nubra Valley. At other places, you’ll find budget and deluxe or even luxury tents and camps, some with basic facilities and some with running hot water and attached western toilets. Homestays are easily available at most of the places with basic facilities and would cost 700-1200 per room for the night. Luxury camps with attached toilets and running hot water will cost you around 3000 to 5000 for two people. You could also book your accommodation in advance through the internet or calling the hotels and camp providers. You could also simply check-in upon arrival since Ladakh is not one of the places that has a ”peak season" when rooms are fully booked in advance. 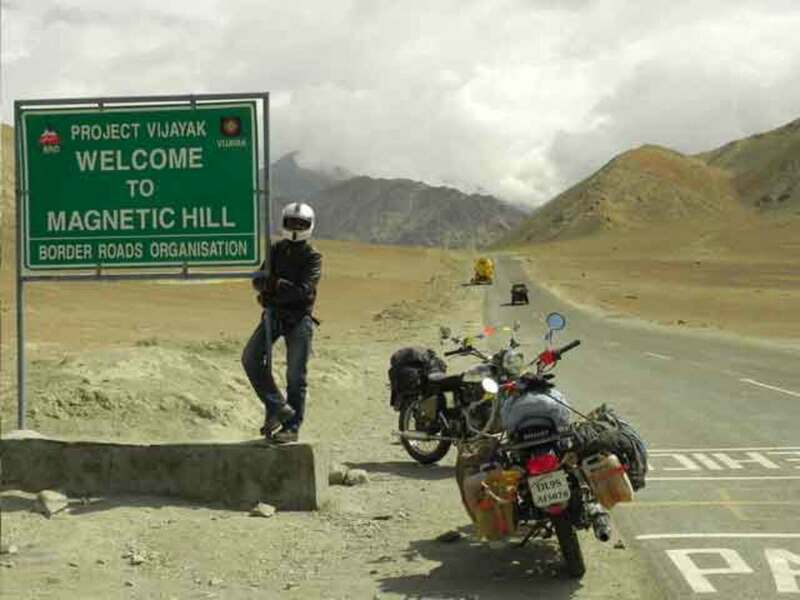 For bikers, accommodation is available all along the route on both Leh-Manali and Leh-Srinagar Highway. 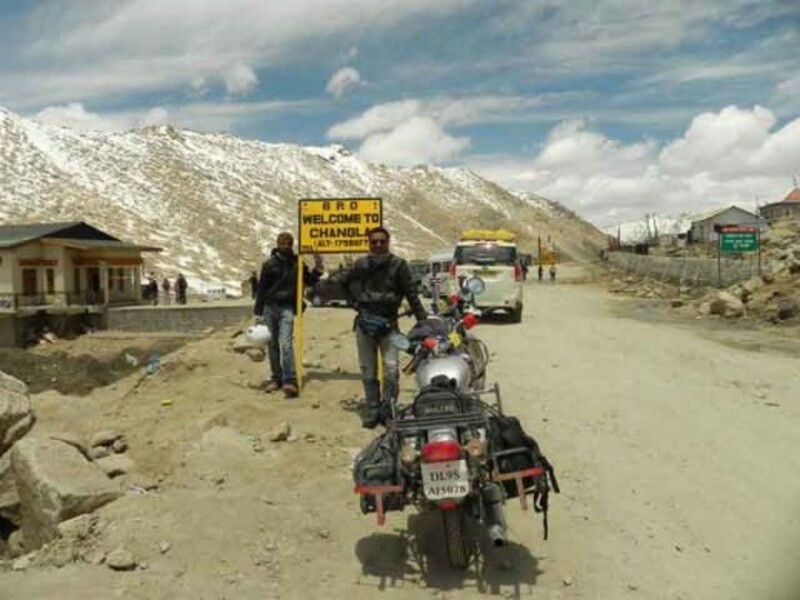 To allow for acclimatization, bikers taking Leh-Manali Highway, accommodation is available at Keylong, Jispa, Darcha and Sarchu and one should stay for the night at one of the places. Most of the bikers stay at camps in Sarchu. But if you have arrived at Zingzing Bar late in the afternoon, avoid crossing Baralacha La as the water stream that crosses the road on this pass gets dangerous because of the strong current. You should go to to Darcha or Jispa to spend the night. One could also stay at Pang but watch out for AMS since Pang and Sarchu are located at an elevation of 15,100 and 14,100 feet respectively. Don't cross Baralacha La if you are already feeling mountain sickness or if there are any symptoms like headache or nausea. In that case, you should stay at Jispa or Darcha at 10,800 feet and 11,020 feet respectively. If you are riding from Srinagar, then I’d advise you to stop over in Mulbekh instead of Kargil or even Lamayuru if you could make it. Accommodation in Kargil are very costly and it is an overrated place to spend the night. Personally, I'd recommend taking Srinagar route and return via Manali as it helps in acclimatization. If you are on a road trip to Ladakh via Manali route, then I'd advise you to stay for the night at Jispa, Darcha or Keylong to avoid AMS. 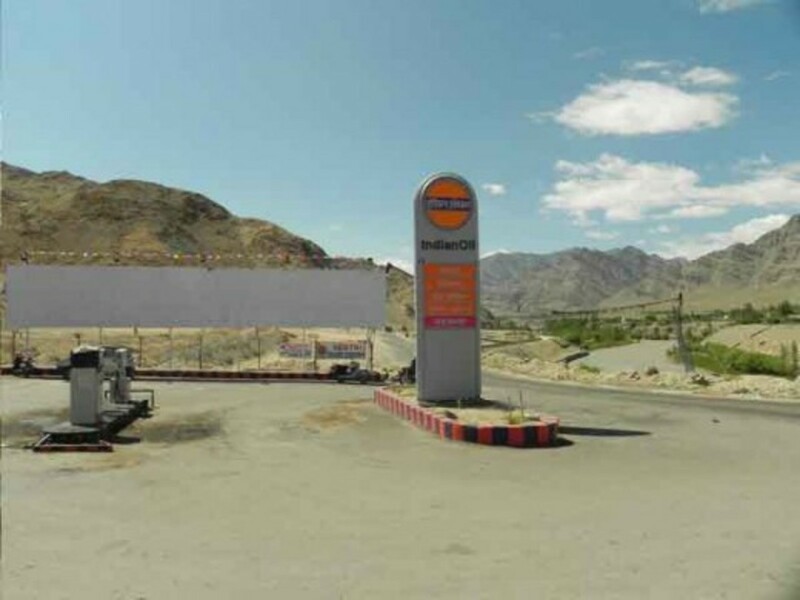 If you are traveling by road and doing Ladakh by motorcycle or four-wheeler, you need to know where the petrol pumps are and where do you need to get extra petrol in cans and jars so that you don’t run out of fuel on the highway. This is important especially if you have chosen Leh-Manali Highway for your road trip. The last petrol pump that you’ll find on this route is located at Tandi and the next one is at Karu which is around 380 kms away. It is always advisable to carry petrol in reserve so that you don’t get stranded because you ran out of fuel. Similarly if you are Planning Leh – Pangong – Tso Mosriri – Rumtse – Leh or Leh – Nubra – Pangong - Leh which would be like traveling more than 700 – 900 kms, then get your tank full and carry plenty of petrol in reserve as you are going to need it. At some places, petrol is available at local shops and residences near roadside settlements along the route but you need to pay luxury surcharge to buy them and the quality of petrol is not guaranteed. You need not worry about petrol or fuel if you are taking Leh - Srinagar Highway as you’ll find enough petrol pumps en route. Except at some antique shops, credit cards are not accepted by any of the hotels and travel agents. Therefore, carry a good amount of cash with you. If you find carrying cash a bit risky, go for plastic money i.e. debit cards, and withdraw money from ATMs whenever required. ATMs of several banks like SBI, AXIS Bank, J&K Bank, PNB etc. are available in Leh Town. 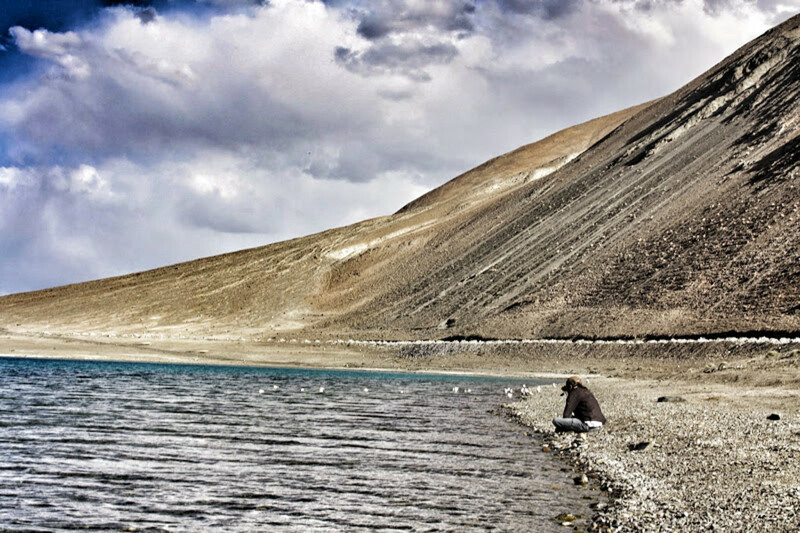 More remote places like Pangong, Changthang, etc. 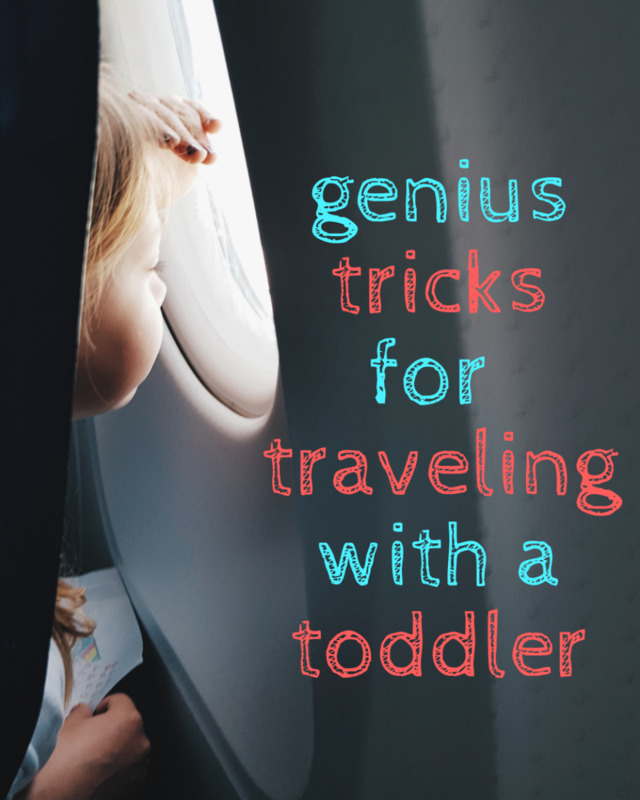 don’t have them so carry your cash when traveling farther abroad in the region. While traveling in Ladakh, kindly show respect towards the local culture and don't do things that are against the norms of Tibetan Buddhist culture. The Tibetan Buddhist culture is quite ancient and conservative, so dress properly and cover your full body. 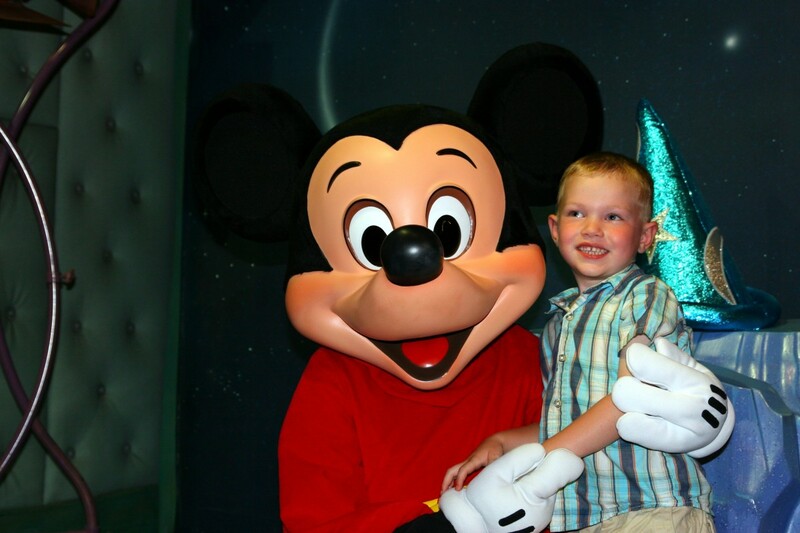 Always ask permission before taking photographs of any person. If they ask for money, don’t take pictures. There are STD booths available in most of the markets in Ladakh region but they close down before 10 PM. On the other hand, Kargil has a global direct dialing telephone facility, in addition to a post and telegraph facility. There is also a wireless radio phone network service of Jammu and Kashmir Tourism station with field stations at Leh, Padum and Kargil. From May to August (peak tourist season), Jammu & Kashmir Tourism has mobile wireless stations in the remote areas. Both locals and tourists are responsible for maintaining the environment. Therefore, do not litter. Plastic is officially banned in Ladakh so you need to avoid the use of plastic and polythene bags. 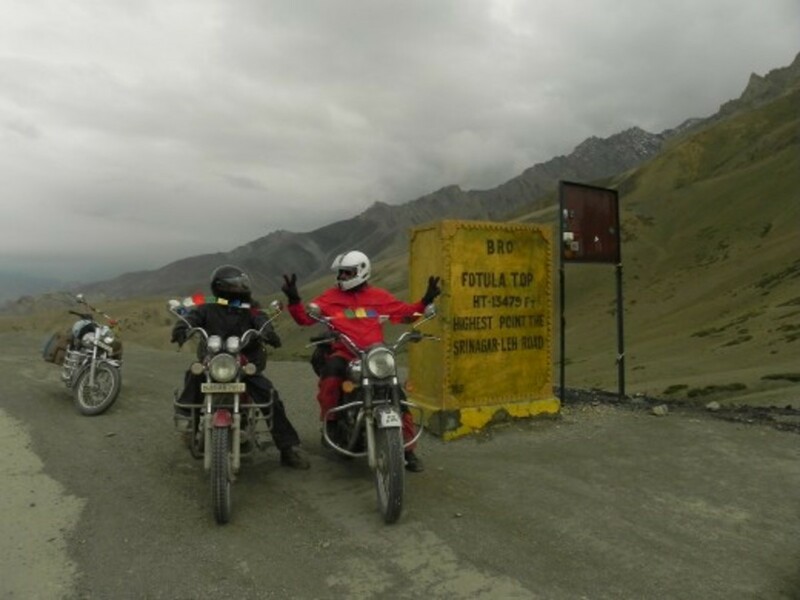 If you are heading to Ladakh on a motorcycle, you will come across some highland passes such as Changla Pass, Zojila Pass, Fotula Pass, and Khardungla Pass. Since all these areas have a huge military presence, you need to carry a permit, vehicle registration, driving license, and bike insurance paper. Planing to visit Leh In Mid Week of Nov this year. Please Advice. Great blog !!! Your response to queries is really great, fast and helpful. Thanks for sharing your thoughts. I am planning to visit next year in month of june with my friends from delhi to delhi, we are planning for 10 days trip. Excellent information, very detail which will help many like me. I am traveling from Dubai to Leh during Eid holidays. I have only 4 night and 5 days. from 20-08-18 to 24-08-18 can you please reply at the earliest the following. 1. in this time i can do Leh, Pangong , Numbr and Alchi with private vehicle hired for the full trip. if all is not possible what should be my preference. or if you please plan my trip. You say "many of the information here is sourced from" your blog. Well, most of it is my personal experience...including the pics. Sure I have sourced some from you and for that I'd be glad to link back to your website. I do refer to the sources like bcmtouring.com when I used their resource. But your's I have used mostly in comments. I'd be glad to give you a link back if you can help me a bit. Just give me 100-200 words which you think I am missing (hopefully about permits), and from that particular capsule I'd definitely give you a link back. I am a great admirer of your website. Love your site. The effort you have put and the information available is just tremendous. Will definitely give you a link back. And would love to be a part of some of your group adventures if time permits. This is Dheeraj from DoW. Very nice article and I see you have summed up everything very well. Will it be possible for you to please attribute a link to my blog as I see many of the information here is sourced from it. A little credit back to my hard work would no harm to this wonderfully written article and plans suggested in the comment. Looking forward to seeing a link back to some of the content. Your blog is awesome dude. Planning to visit ley ladak in the month of June of 2018. After visiting in need to go for vaishno Devi mandri . Which is the best route n any trip makers . From Delhi to Delhi I need. Bharathnyadav@gmail.com this is my mail ID. Can u plz guide me . Hey Nik, awesome blog buddy, got all the information related to my dream trip. Just one ques i have that how much it would cost if i decide to start my journey on bike from manali to leh including stays and all? or need to go with SUV. It will be a problem as they don't allow any outer state rented vehicle for local sightseeing in Ladakh. Fantastic article, gets lots of details about the trip terrain and how to plan, places to visit. Me and my friends are planning the road trip starting mid of June until end of June. I have sent you an email, please respond to it when you get a chance, we are looking for your help in planning the trip, places to visit, stops to make ; so that we can make most out of the trip. I am renting bike from delhi.will it be any issue in n Leh? Your blog is awesome man..Very informative and helpful. Thanks for writing such a nice article and sparing time to respond on queries. Like many others I also seek your help for planning Ladakh Trip. We are 6-8 people from Delhi and 3 of us are recently married. We are planning to go by air from Delhi to Leh and need your assistance for the itinerary. 2. If yes, can we also try the alternative as : Delhi -- Srinagar by Flight.. Then hiring a taxi/cab from Srinagar to Leh. And in return taking flight from Leh to Delhi. In this case what should be our itinerary and will 7-8 days be sufficient enough? Really looking forward to hear from you and plan my first ever tour of the majestic Leh. Me and my wife are planning for a trip to Ladakh for 5n 6d. we have a plan to make the best use of this trip by visiting almost all the places possible. Please help us with a suitable itinerary, also guide us whether we will go with some travel agents or will go by our own..
ladakh is so beautiful place. i like to ride bike in ladakh and thanks for sharing this information. Its really a helpful information for each of us. we are group of 6 people. We are plannig for leh-ladakh ride from 7th July to 18th July. We will be starting from Mumbai to delhi by flight. and after that we are planning to go to manali and hire a bike and enjoy the adventure. Can you please suggest me some rout from where we should start from? Is it safe in the dates between? Can you help me plan a trip for 10-12 days, for August month. Looking to travel by a 4-wheeler from Delhi. Budget around 25k. Basic stay options would work. Lovely garden, clean place, tasty food, filtered water to refill, hot water heated through solar between 10 and 5 in evening (or else heated separately in a bucket). Close to Main Market and Changspa road. Very clean, spacious, hot water till 2 PM. Rooms at 2nd floor are spacious while first floor rooms are small and dark but cheaper. Most rooms with attached bath. Really comfortable, nice and cozy. Clean rooms and bathrooms. Tasty food, good parking space, running hot water. TV with DTH and garden Bar. One of the nicer stays in Diskit. Clean rooms and bathrooms. 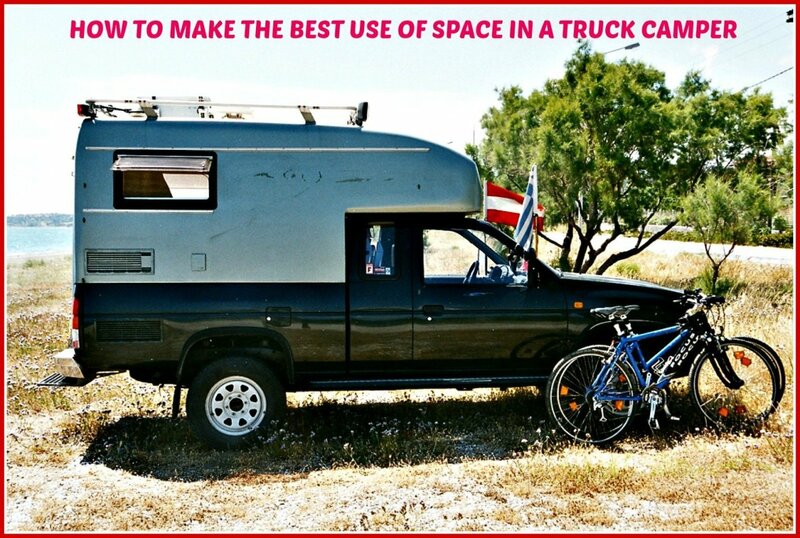 Parking space, Running hot water or in buckets. Nice, clean and spacious rooms with attached bathroom. Nice little garden. very clean, comfortable and having attached toilets with running cold water. Hot water in buckets. You'll find that, every house in Spangmik village or Man – Merak village acts as home stay charging anywhere between 700-1500 which may or may not include food. Toilets are not attached. Some have Western style but many do not with only cold water. Basic food and no electricity. Padma and Gongma are very good but then there is no connectivity and hence you can't book them in advance. Attached western toilets, electricity source for limited period. Price Range: Rs 3200 – 3500 for tents with two meals (MAP). Luxury tented accommodation with attached western toilets, own electricity source. Give me your dates and duration along with budget so that I can plan a good trip for you. I will also plan Ladakh tour. Thanks for sharing this information, This information is really helpful for me. What kind of suggestions you are looking at...could you be a bit more specific. Also if you could share more details like your budget, preferred mode of traveling and dates etc then I could be more helpful in drawing an itinerary to meet your requirements. I am planning a trip from Bangalore to Ladakh by flight throughout for 7 days and would like to know if you can give me some suggestions as to how shall I plan this trip. It is a solo trip and I have planned my trip in this way: Blr - Delhi - Leh, Nubra valley and Turtuk. I have found lots of required information from this site though have few confusions. We are group of Runners, planning to participate in Ladakh Marathon on 10th Sep & visit Ladakh region with family (8-10 adults & 4-5 kids). Will reach on 8th Sep (so 3 days for Leh and around), 11 to 14 or 15 sep for other places. Where should we stay keeping in mind kids at Leh and other stop overs. Suggestion for Transport too for group if possible. Srinagar local sight seeing. Total days from Leh to Srinagar will be 2 days with halt at Kargil. We are planning to cover Leh first and then Srinagar since flight costs are high from Leh to Mumbai. Please help us in planning the trip and mention the itinerary. 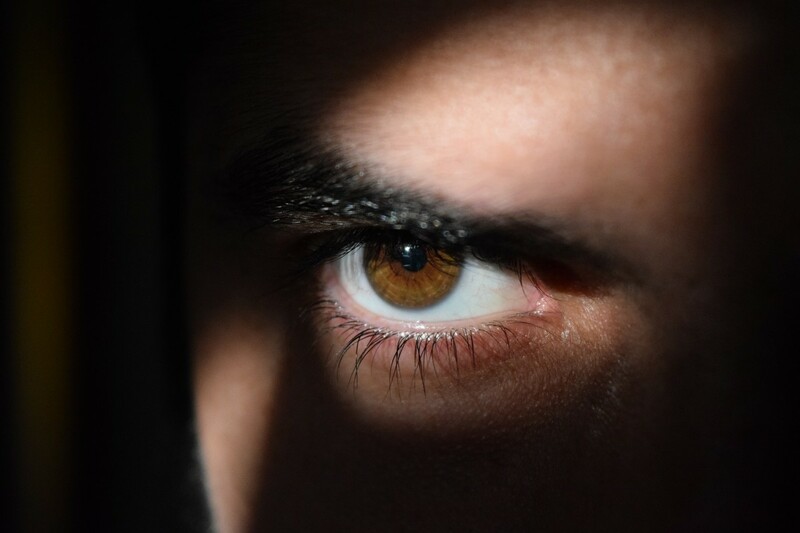 I have gone through this blog. I must say it is very informative and helpful. With few inputs from this I have finalized itinerary for a motorcycle ride in month of July or Aug 2017. Me and my 6 friends are planning to ride Delhi-Leh-Delhi with RE bikes, few of them Thunderbirds, some classic 3500 and some are 500. We also have 2 female riders. Interested riders can join us. You can reach me @ nikhilchandra81(at)gmail.com. But I have more questions before I answer your questions :-) Sorry for that but to be able to help you chalk out a memorable lifetime experience I would need a few details. 1. How long will you be spending for your trip. 2. Best time for you is the best tourist season or when you can explore the less crowded Ladakh? 3. If you take either the Manai route or the Srinagar, will you be flying out from Leh? 4. What kind of accommodation are you comfortable with e.g. hotel Vs homestays? For your last question I do have an answer. If you plan and execute Ladakh trip on your own, it will be at least 40-50% cheaper than what the agent will offer. Also what kinda transportation are you looking forward to use? With these points answered I may assist you better. Thanks Nikhil! Will let you know what I could accomplish! In a recent move, the requirement to obtain Inner Line Permits for Bangladeshis to roam around the areas of Ladakh like Pangong, Khardungla, Turtuk, Nubra, Tsomorriri has been made simpler. Now Bangladeshis can get the same through a Travel Agent or by himself visiting DC office, Leh & completing the formalities. You need a valid Tourist Visa & a copy of passport for application of the same. It won't be disastrous at all. In fact Ladakh remains open throughout the year if you are arriving there by plane. Roads although remains closed from Manali and Srinagar side from Nov till May. Enjoy your visit and let me know if I could be of further assistance. I loved your blog and this got me plan to visit Leh. I would like to visit Leh for 5/6 days in a group of 4. Will a visit in march or april be disastrous? Being a Bangladeshi, I would need a permit, can I just fly in to Leh and then sort out the permit and travel-around details or should I book before hand? Leh – and as a matter of fact most of Ladakh – could be traveled throughout the year. Although it is not possible to reach Leh by road from late October till late May due to accumulation of snow on Rohtang Pass on Leh – Manali Highway and Zoji La on Srinagar – Leh Highway. However, the good news is that passes in Ladakh i.e. 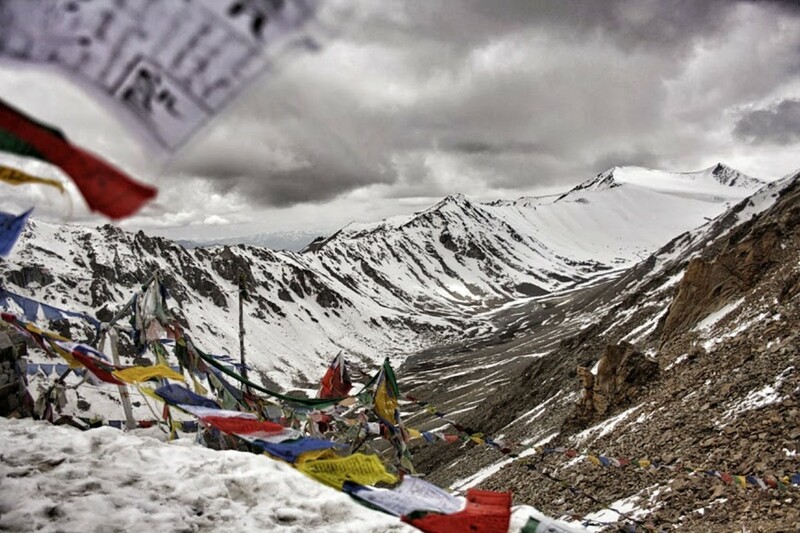 Khardung La that connects Leh to Nubra Valley and Chang La, that connects Leh to Pangong Lake remains open for most of the day entire year hence reachable in April – May. One thing that you should be prepared of is that accommodation and food at this time of year will be very basic as most of the tents operated by travel agencies are only pitched in June which sees the beginning of the tourist season. Homestays are readily available though and are very comfortable as well as cozy option when it comes to accommodation during peak winter season. 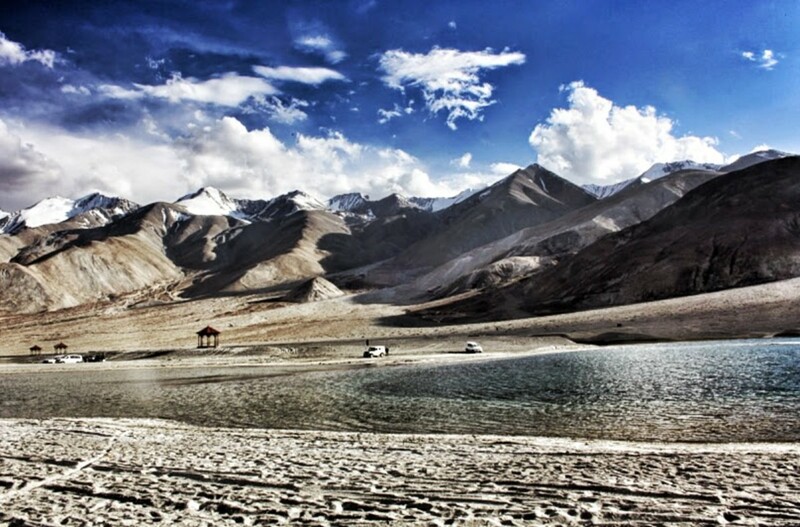 Here are some numbers and names that will definitely help you in planning your trip to Ladakh. Nimoo near confluence is the popular rafting destination. It is approx. 40 kms towards Kargil on Leh - Srinagar Highway. No you don't need to pre-book. There are plenty of agents offering that service in Leh. Or you could ride directly to Nimoo and take service from there too near confluence. Price will be approx. INR 1200 per person. You could always bring it down but that depends on your negotiation skills. Great to read all your stories and memories of the Leh trip. 1. Is it safe to travel to in Leh at that time. I understand that the roads from Manali to Leh will be blocked. Thinking of taking flight from Delhi. But the other places in Leh like Pandong, Nubra etc are accessible during that time? 2. It will be great to get some contacts of local guys like travellers ( direct nos) to save the middle man agent cost. 3.Any suggestions regarding the plan are most welcome. Great to know that you have finally nailed Ladakh. Currently I don't have any plan but then trips happen accidentally. Will definitely let you know if something comes along. And no, I haven't been on a motorcycle trip to Rajasthan before so it is as good a guess of yours as mine. I have been there but not on motorcycle so...Well I would let you know if I plan something next year. Thank you for dropping by and good to know that you liked my article. Visit Shanti Stupa, Tsemo Fort, Sankar Monastery. What do you think...Do let me know if you need any further assistance. our's is a family of 5 people including my son of 11 years.. & will be traveling byh flight , so a span of 7 days will be ok , to cover all the places?? if possible can u share us the itineraryfor the same from Leh..
n yes keep it up , we really liked ur blog, it si very informative. Hope your trip to spiti was gud.....Sorry I did not see your message at the right time or else would have surely come on the trip. I also had done the same plan to Spiti in July but could not go as the group members who were ready to go on the trip could not make it and i was left alone. But i did my Leh-Ladakh trip last season..... It was awesome.... and waiting for the next.... do let me no if you are planing some ride later..... even the leh-ladakh... will love to do it again.... Want to do the entire Rajasthan trip.... See if you want to do it...we can do it together.... have 15-20 days of leave. If you are not interested then you can suggest the plan if you have done it before.....!!!!! If you are planing any of the trip then would love to join you can drop me a mail or else call or watsapp me on 9923652686 .....!!!!! In a week yes only one way is possible. However do understand that you will be charged for the transportation cost of your bike from Leh to Manali to making is an expensive deal. Also, you didn't mention any date. When are you planning to travel? i would like to plan a week long bike trip from Manlali - Leh. i think we can cover only one-way direction. can you all please suggest the best suggestion for planning this trip. we will be coming directly to Manali and arranging to hire a bike and drop off at leh(seen this option in some websites). We are a group of 6 guys going to leh Ladakh trip 12 days from Delhi on 3-4 bikes. We are thinking of starting from Delhi- Srinagar- leh-manali route. we were hoping of camping for overnights as we have 3 tents, to cut the cost and add to the experience. Also being students we are a bit hard on cash so is it possible to do the journey 11k-13k per head. we have our own bikes. Thanks for the compliment :-) And I am glad that you loved it. 10 guys is a big group really. If you hire private taxi, you'll need two. But there are regular bus services too if you want to do it on budget. The places of tourist interst on Srinagar - Leh route are Drass War Memorial, Maitrey at Mulbek, Lamayuru Monastery, Rizong Monastery, Alchi Monastery, Likir Monastery, Basgo Palace, Confluence of Zanskar and Indus at Nimmu, Magnetic Hills, Pathar Sahib Gurudwara, Phyang Monastery and Spituk Monastery. If you take 3 days to plan this journey to reach Leh then it is doable. But since you have only 5 days for traveling to places in Ladakh once you arrive in Leh, you'll need to arrive in Leh in 2 days with an overnight stay in Kargil. Also, you'll have to choose between going to either Nubra Valley or Tso Moriri or Pangong Tso. With the number of days that you have, you can cover only two of these three destinations. And yes, it is possible to do so on Motorcycle. 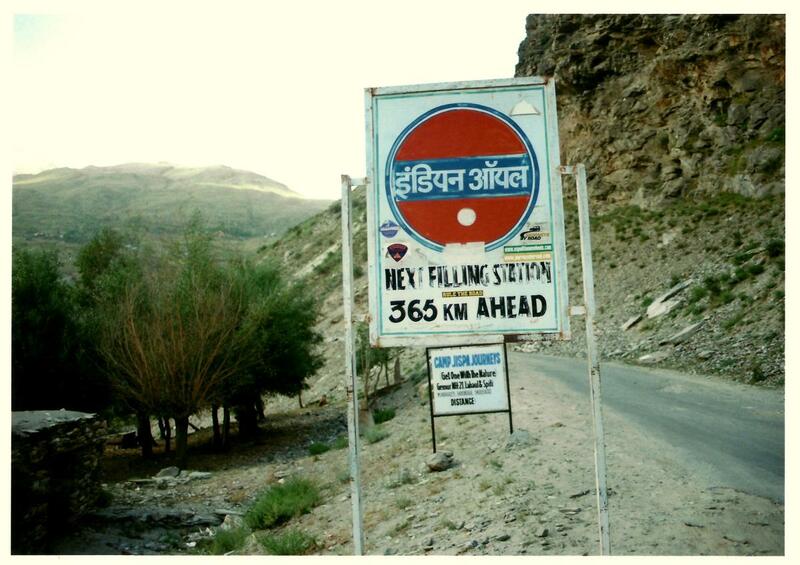 Here are some important milestones along this Srinagar - Leh Highway if you choose to hire motorcycle. Visit Kargil War Memorial at Drass. Visit Maitrey in Mulbekh, Lamayuru Monastery. A stopover at Magnetic Hills for photo session and similarly at Nimoo where the confluence is. Yet another day for acclimatization mixed with local sightseeing that could include Alchi Monastery, Likir Monastery, Basgo Palace, Confluence of Zanskar and Indus at Nimmu, Magnetic Hills, Pathar Sahib Gurudwara, Phyang Monastery and Spituk Monastery. Have a cup of tea at Khardung La top which is claimed to be the world’s highest motorable road. Visit Deskit monastery in Nubra Valley and do the famous double-humped Bactrian camel safari in Hunder. Overnight in either Deskit or Hunder. Travel to Pangong Tso via Chang La. You could visit Thiksey Monastery on your way to the lake. Return to Leh. Visit Hemis Monastery on your return journey. 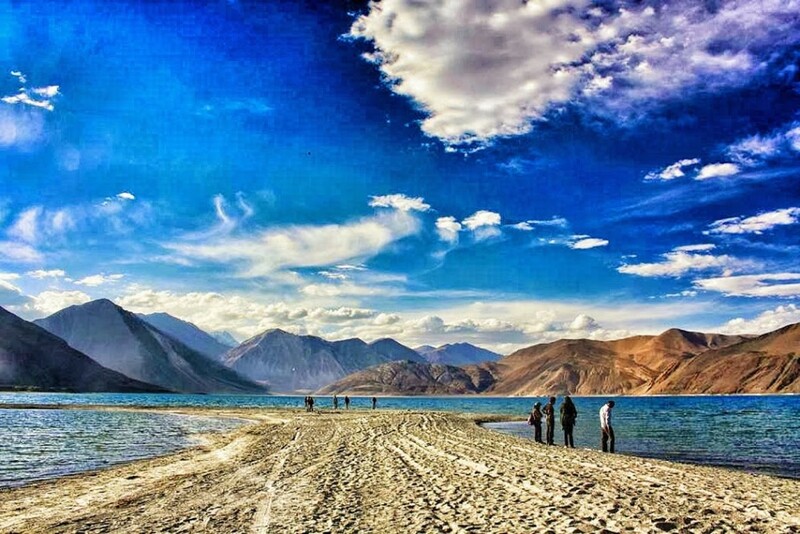 Alternatively, you could skip either Pangong Tso or Nubra Valley and do Tso Moriri which is the most spectacular lake in Ladakh and less crowded too as opposed to its popular counterpart Pangong Tso. Let me know if you want any further assistance. Immensely well detailed blog !!! Loved it. We are a group of 10 guys going to leh Ladakh trip during June 25th to July 3rd and booked flight tickets from Hyderabad to Srinagar. We will be in Srinagar by 25th Afternoon 12 Pm and return tickets on 3rd July afternoon from Srinagar . Please suggest us Which route will be the best to cover most of the ladakh sceneric beauties between Srinagar-Leh. We are interested in biking also, guide us is it possible in that short period to go by bikes. Also can you please chalk out an itenary for us to follow, that would be really helpful. Waiting for you reply. Thanks in advance. Sorry to disappoint you again but I am not. Next year I am sure I will. However this year I am planning for Spiti. It is as majestic as Ladakh and the good thing is that it is not crowded. I'll be doing the 10-12 day trip from Delhi via Shimla Narkanda to Spiti and will be back via Kunzum Pass and Rohtang La Manali route to Delhi. Hope you r doing good..... The same question again..... Are you planing the ride this year.....????? Dear Yugant in this many days you will just reach Leh and will have to go back without doing anything else. Add more days to make it worth it. IMHO, you'll need at least 20 days for a meaningful Ladakh tour by road from Mumbai. About 5-6 Hrs drive, depending upon the breaks you take in between. Let me know if you need more assistance in itinerary planning. If you want me to plan an itinerary from Mumbai to Ladakh and back; do let me know. 1. When is the best time to visit and typically how many days would we need? 2. Any advice on good home stays? Hi nikhil.. Great piece of information.. We are planning for a trip in the month of jan to leh ladakh.. Most probably to delhi/manali by flight n then on a bike trip.. Let us know will it be the right time n general do's/dont's since we are in the phase of planning the entire trip..
Could you please let me know if you'd be riding out from Leh or is it either the Manali or Srinagar route that you are planning to ride your bike through. If it's the latter, I am sorry to say that these roads only remains open from late May till mid October. As for your safety concerns, Ladakh is perhaps the safest place in India for even a woman even traveling on her own. Don't worry. And you could book on spot and it will not be a problem. However if you are planning to visit Pangong or Nubra in December, you should check and book accommodation in advance as most of the camps and homestays are packed up due to extreme cold and food availability is also limited. Leh however is a fine place with more than enough comfy accommodation and fine food throughout the year. Yes it is very much accessible. You could visit Pangong Tso as well as Nubra Valley crossing the Khardung La barring a few rough days when there are landslides or heavy snowfall which is very rare. We are a group of 4 friends from mumbai planning a trip to Leh in April. We would probably take a train or flight till delhi or manali and then proceed further. From Manali onwards, i have heard April is not the best time to go via Manali-Leh route. However we wanna explore that route as we have heard its a lifetime experience. Further, we would want to have a riding experince, if not for the full route, then say around 200-300 kms. Is that possible to get bikes for a partial route? please suggest. Also, let us know if exploring by rented bikes there or cabs, which would be cheaper? We are 4 people and would require 2 bikes. Please help us with the bike rents and petrol costs(approx). Further, tell us how much it will cost per person from Manali to Leh-Ladakh and back, exploring all the famous places, including white water rafting and cheap accomodation options if you could provide. Thanks. Hello friend, I am planing to visit leh after my marriage in december with my wife, i will be taking my own bike so can you please suggest me weather it is safe to travel on our own bike, is it safe for womens in that region for stay and do we need to do prorior bookings for stay or we can do it on the spot. I will visit Ladakh on 1st week of April. Can you please confirm me in April(1st week) is Khardungla pass and Pangong lake is accessible? Thank you for a very informative Article !!! We will be taking a flight to Leh from Delhi and back. After which we plan to hire a royal enfield. Please suggest what are the things to consider in this scenario. Yr mai ambala se ladakh ka trip krna chahta hu apni bike pe ,to kya muje kahi pe rgstration krana hoga,mai apne ek frnd ke sth us bike pe hounga,or mere pss bullet thunderbird bike hai ,kya ye bike sahi rahegi,mai 15 din ke trip jana chahta hu to isme kitna cost lagega.? Its been great reading through your blogs and the advice,you're the best in this business and I thank you alot for the wealth of the information you're providing to all us. We're a group of 12 planning to start to leh on 8th august .we are from Hyderabad and booked our air tickets on 8th(Hyderabad to Srinagar) and 16th(Chandigarh to Hyderabad). We actually want to start from Srinagar (8th aug 3pm is our flight arrival time to srinagar) and end at Chandigarh (11 am is our flight from chandigarh).In between we want to cover leh and manali. can you please help us in planning our trip from srinagar to chandigarh covering leh-ladhak and manali and also any information on adventure sports would be very much helpful. The details are quite informative and helpful. Thanks a lot for the whole info here. Is Chandigarh to Jispa doable in a day or a halt is advisable in Manali? How long does it take from Chandigarh to Jispa? Myself and my friend are planning to Leh-Ladakh during July last week or first week of August via train .Plan is for 12-15 days (including travel from Bangalore-Delhi and vice versa). We are taking our bikes (pulsar 150 and pulsar 180) with us till Delhi via train. Kindly let us know if 12-15 days are fine for our entire trip and also do provide us the Itinerary break up (day wise). Since this is our first road trip to leh-ladakh , we would like to cover all must see sight places. Also let us know July - Aug is best month to visit Leh-Ladakh as we are taking our pulsar bikes with us. Also could you let us know if there is any way we can transport our bikes to Manali from Delhi and from there we can drive to Leh. I hope this notes find you well. I appreciate the way you are helping people hear for their concern regarding their itinerary aspect. 1) We are a group of four friends, planning a bike tour (without any package) from manali-Ladakh-manali (21-06-2015 to 1-7-201511) please suggest a Itenary with full of adventures, joy and which can make the tour memorable forever. is it good time (June) to visit Ladakh? 2) We are suppose to take 500cc bullets on rent. Please suggest me from where we can find the Bullet with good conditions and what will be the tentative cost (rent)of the bullet will be for a day? Should we book bullet for each person separately (4) or we can we go with 2 bullet. 3) Could you share petrol pump locations and climate condition. 4) Where we should halt during the travel. 4) Best locations in Leh &Ladakh that we must visit. 5) Our budget is 30 K INR per head is it enoughf ?for this tour. I am willing to learn and listen from your end. Thank you in advance for taking the time to reply. Hey hi. Thanks for such an amazing blog. So me and friends are travelling from manali on 9th june for 8 days. Can you pls suggest me an itenary where i can few sights along with someother sights. Zanskar trek,pangong(stay),magnetic field, tso mansoori,nubra valley. we are 4 boys planing to go to khardung la. we will start from Delhi . we do have 14 days to plan it. i would like to go via Srinagar and returning journey via Manali. Please let me know the itinerary for this route. Am planning a roaf trip to leh from mumbai. Have made a rough itenary, would love to get recomendations from you. Thanks a lot for such a detailed information, this will help a lot to fellow travellers. Please help me to complete my itinerary. We 4 friends are going to Leh by our own Innova via Manali-Leh highway and want to return to Delhi from Leh from another route in 3 days by 4:00 PM. June 14: Start from New Delhi to Manali at Friday Morning 9:30 am approx. by Innova and Will reach Manali by Night 10:00 PM, Dinner, relax and Night Stay. June 15: Start early Morning 7:00 AM to Sarchu (Intermediate Stop) and evening stay at Camps. 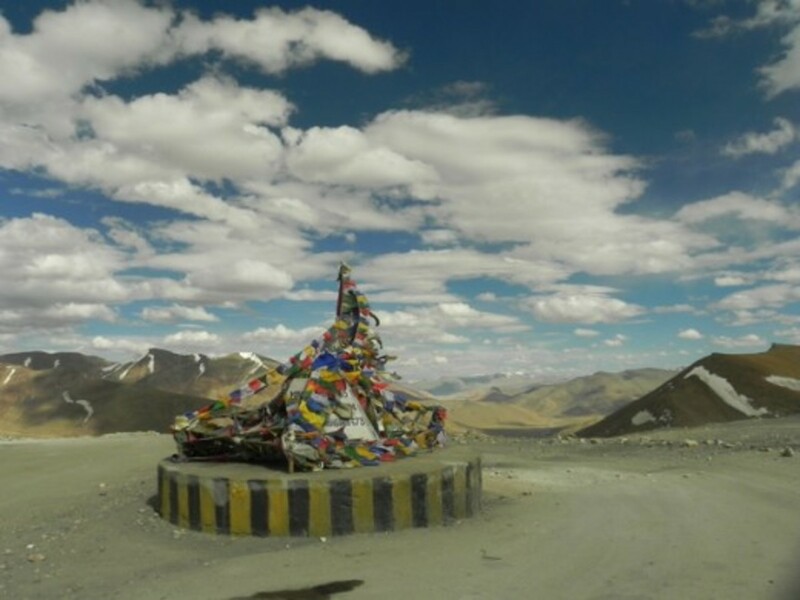 June 16: Will start from Sarchu early morning at 7:00 AM for Leh via scenic beauty sightseeing of Himalayan Valley and more and reach Leh in noon at 3 PM. June 17: Visit Monasteries, Villages etc for the cultural tour in and around Leh and Night Camping at Hill Top. June 20: Return to Leh and Visit Monasteries, Villages... and Relax..
June 23: Reach Delhi by 4:00 PM to catch train for Pune. Hi Nikhil... Hope u r doing well.... When i spoke to u last 10 months back you told me that you will be planning to go on tha Leh- Ladakh trip again... I guess the time is come as the best time to go for the trip has come...... I could not find any group to accommodate me with them as they all were groups of frends and dint wann any one form outside the group..... So m trip is pending..... I tried all the sits that you had told me i was on a regular check with different sites and hubpages at the same time... But by bad luck.... The problem is that all my friends have done the trip and dont want do it again..... So i thought i would remind you that " Your Next Trip and My First Trip" is paging us .....!!!! I with my two more friends are planning a trip to ladakh starting from delhi. Kindly suggest whether this is feasible or not in the budget of 10-15k per head. If feasible please suggest best route and means we should opt. Can we carry helmet in flight? Will they allow us. There are plenty of accommodation available on the route. I'd recommend that you stay for the night at Jispa or Darcha instead of Sarchu which is at a height that causes real trouble and may lead to AMS. The idea is good. 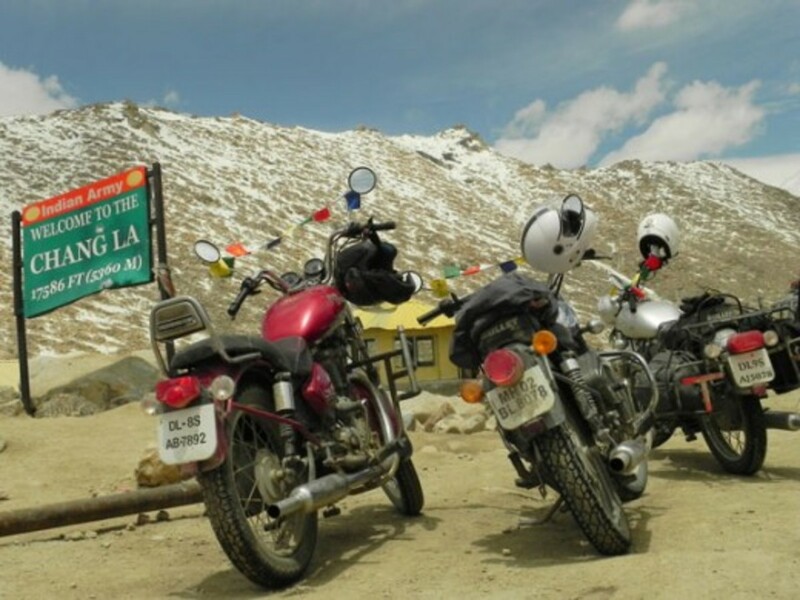 Start your road trip from Delhi if you are planning to go via Manali side or better still for better acclimatization, have your bike taken to Jammu by train and start from there. Sorry for replying this late! Your plan is fantastic and perfectly feasible. The only concern is how are you going to carry that much fuel in spare which is required to do Nubra - Pangong - Tso Moriri - Sarchu - Tandi without going back to Leh or Karu which are the only two places to find petrol pump. 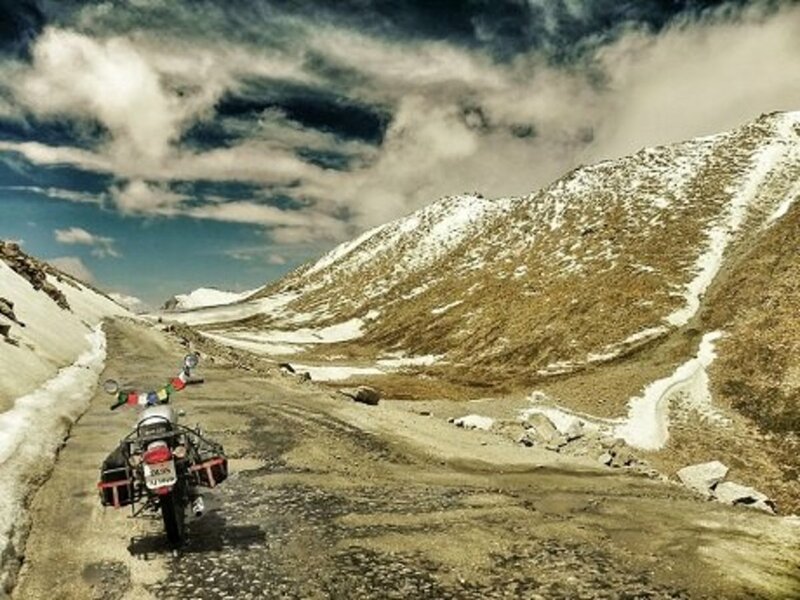 Hey guys i am planning my delhi leh bike trip via manali and i am worried about the accommodations part & do i need to carry a sleeping bag or a tent with me or its available on camp sites...? Hats off to your detailed guide and tips. I will be riding for the first time to Leh Ladakh from July 17th to Aug 2nd. I have made a rough itinerary ..please let me know if this is feasible.Thank you so much! Day 1: Bangalore to Delhi (Flight) collect bike and reach Ambala by night. Day 13-15 : Reserve days for anywhere in between. What should be the minimum capacity of bike engine so as to comfortably maneuver the terrain during the trip. Is it that any bike will do? Or is it that any bike over 150cc or so will do. Bikes are to carry 2 people. Thanks a ton for this detailed write up, you are helping out a lot of travellers. I am planning to ride to ladakh in July end. Please help me out on the itinerary. I will fly to Delhi on 18th July and return on Aug 2nd. Will be transporting my bike to Delhi by train.So i will have 14 days in between. Planning to ride to Leh via Srinagar and return by Manali highway.Thank you again. 10000 per head is enough or you need more for the trip for 8 days. However, it is not possible to do Delhi - Leh by road in the month of March. Rohtang La (Manali side) and Zoji La (Srinagar side) only open in late May or early June. So if you want to do Ladakh by road from Delhi I suggest you wait till then. The other option is that you fly to Leh and then hire the jeep to travel to Nubra Valley or Pangong Tso. As for the cost...are you hiring a jeep or do own one that you want to ride to Ladakh? i need to knw, if it is good think to go for a trip in2nd week of march??? n how to find a group for jeep trip..??? wat will b d cost??? Thanks for writing good information, we are team of 6 from Bangalore planning for a trip and we are getting confused if its good to go with a trip organizer or we can do this on our own. Kindly let me know with your experience. We are planning to get our bikes for this event. 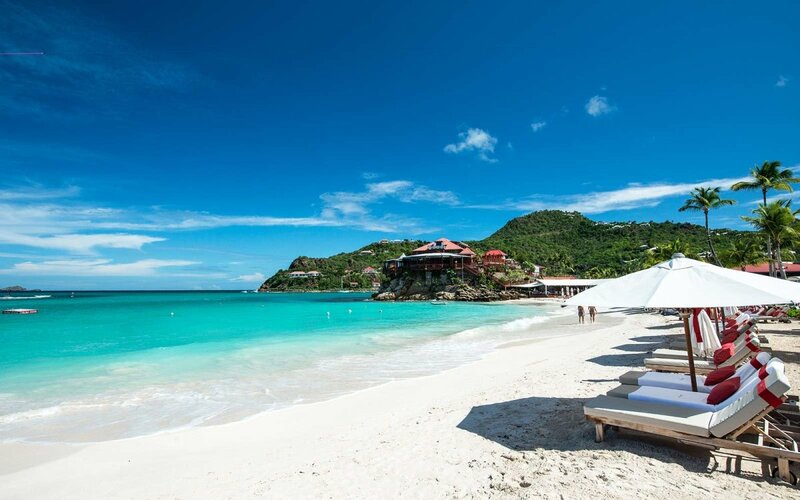 With the wealth of information that is available on the internet, I would suggest that you should not bother about a trip organizer and do it own your own. There are 6 of you. You can easily manage it. Own bike and Do it Yourself will reduce your trip cost by half. For more information, you may try bcmtouring.com. There's wealth of information there. Even visiting treads at IndiaMike and ThornTree or for that matter TripAdvisor will help. Thanks Apurva for your compliment. First of all, extremely sorry for this late reply. Renting the bike and talking about scenic trail, I could - with absolute confidence - tell you to take the Manali - Leh route. Driving on this stretch is absolute adventure. 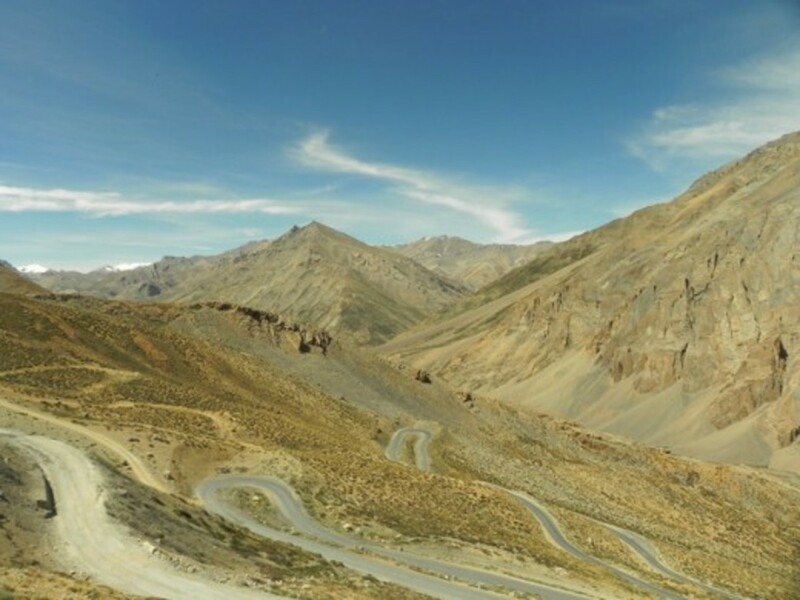 With so many mountain passes, the sublime Gata Loops, the trail from Keylong to Jispa and the majestic ride through Morey Plane are some of the most spectacular drive that one could experience in their lifetime. In 10 days, you can easily do the round trip from Manali to Leh, cover Pangong Tso and Tso Moriri and return back to Manali. I would have suggested you to do the Srinagar on your return journey via Kargil but that will cost you 10K more per bike. Day 1: Manali - Hire the bike and ride it to have a feel at the engine and the milege. Do buy some canissters for fuel that you'll have to carry along from Tandi, the last petrol pump pn the route before you reach Karu near Leh. I am planning to leh ladakh on july5th from bangalore please give any suggesstions.we are group of 3 members. In my wife plan to enjoy Himalaya on bike .I like to hire a bike from Delhi n via manali want to reach ladakh .and also via kargil to Srinagar. So I want to know how and where I manage inner line permission. How much it take from my pocket each day or step by step . i am planning for leh trip for about 15 to 17 days Delhi to Delhi, I am from Bangalore and want to take my bike and ride what would be the best itinerary to cover most of the places want to cover srinager alos kindly help me as if now we are 3 bikes more to confirm m getting confused bu reading most of the blogs from other sites also want to do this trip in August 2015 it would be help full if you coul help me out acording to your experience . We are a group of 6 people planning to go on a trip o Ladakh in July. Plan is for 10 days. Thinking of hiring bikes for the trip. What would be the best route to encouter all the scenic beauties of Ladakh, Leh-Manali or Srinagar-Leh route? or can we cover both of them, one while going and one while coming back ?Please suggest. Also can u please chalk out an itenary for us and the budget needed. That would be really helpful. We are based out of Bangalore. Woah .. you blog is superb.. almost took me to a mini tour to Ladakh. There are many. Just take a stroll along the street and you'll find them at Bullet mechanic shop. Very informative and descriptive information. I just want to know Is there any rental shop in leh which provides luggage rack for thunderbird 350? We are a group of 8 people planning to reach Leh directly . I have few questions , could you please suggest us your recommendation. Q- We are planning to hire bikes from leh to travel along lakes and local sightseeing. Would bikes be easily available there ? How much does it cost for 4 bikes and 8 people? Q- We are interested in camp stay , what will be the best place to stay in camp? Q- We want to cover maximum of Ladakh , what will be the best travel plan for 9 days Max ? Very much thanks in advance.